Are you looking for a nice and refreshing Vegan summer recipe? Then look no further. 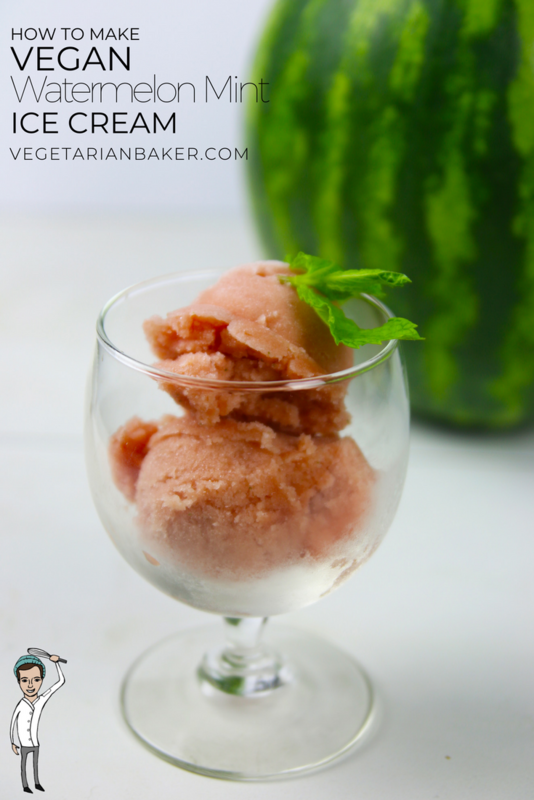 This recipe for Vegan Watermelon Mint Ice Cream is creamy, scrumptious, and so easy to make. This recipe is for all to enjoy regardless if you are vegan or not! You can bring it to your next summer outing or make as a healthy afternoon pick me up. In a Medium Sized saucepan, combine agave or maple syrup, almond milk, coconut milk. corn starch and sea salt. Heat over medium-high heat while whisking. You are going to heat until it's thickened and bubbling. This should take 3-4 minutes. Place in fridge until completely cool before going to the next step. Place watermelon and mint into a high powered blender. Blend on high for 30 seconds to liquefy the watermelon. I used about 3-4 cups of watermelon to get the desired about of 2 1/2 cups of watermelon juice. Strain the watermelon juice to ensure a consistent product. 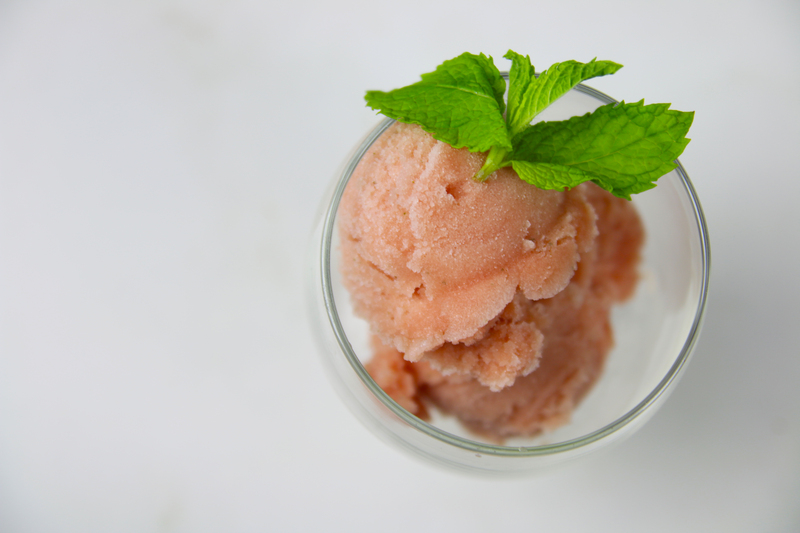 Place watermelon juice, coconut milk mixture, and vanilla extra into an ice cream maker. Follow the instructions of your make to make the ice cream. After the ice cream thickens up, place in a loaf pan or airtight container and place into the freezer to set up. This should take a few hours. Once set, scoop & enjoy. I like to garnish with a sprig of mint. Looks so yummy! T.V.B…you must bring all these tasty ideas to the market! Do have a bakery and are you bringing your food creations to the market? If no, why not? Because I will love to buy them…..Thanks, keep it coming! I wish. It’s on the bucket list.